The codes and standards for high pressure vessels set by ASME consist of three different divisions, which are based on psi level. ASME is not the only standard-setting authority for pressure vessels, but it is by far the most widely known and accepted, ensuring an expected level of consistency throughout pressure vessel manufacturing. Pressure vessels or pressure tanks hold fluids, gases and vapors at pressure levels greater than that of atmospheric pressure. Therefore, great care must be taken in manufacturing pressure vessels, or a leak, crack or flaw could result in flying shrapnel, fires or a large explosion. 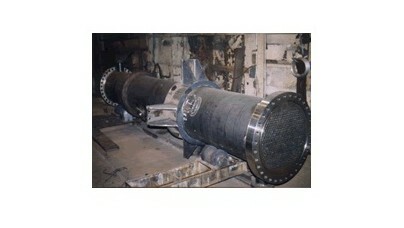 The ASME’s standards are required by law in almost every state and are recognized world wide. Many different industries adhere to ASME standards when designing, building and using pressure vessels, including the chemical manufacturing, medical product manufacturing, heating, agricultural, brewery, liquid filtration, vacuum pump systems and polystyrene manufacturing. Each of these pressure vessel aspects must meet the ASME regulation or standard. 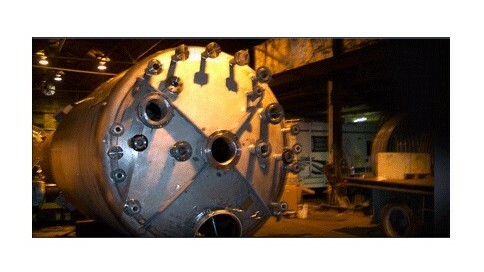 The ASME standards affect every part of pressure vessel design and fabrication. They control the quality of design, drafting standards, design calculations, material control, fabrication tolerances, machining, testing, inspection, calibration and records retention. After a pressure vessel has been manufactured and is ready to use, a certain amount of responsibility falls in the hands of the company running the vessel. They must periodically check for damage and repairs, including leaks, cracks and ruptured seams. If any damage is noticed, only a qualified welder may carry out the repairs and it should be done immediately as there could be disastrous results as a result of built-up pressure. Extensive information about the pressure vessel, including its psi, must be displayed on the vessel’s exterior in plain site at all times. Installation of a new pressure vessel must also be approved by the ASME. During the tank examination, inspectors check things like the O-ring seal strength, vacuum closure standards and make sure it is operating at the appropriate psi. Often, the detailed and thorough inspection of a pressure vessel requires dismantling the entire tank. The quality of an ASME tank affects everyone who comes into contact with it, whether they design, manufacture, install, inspect, maintain or work with pressure vessels on a daily basis, therefore it is important that standards are maintained. ASME Pressure Vessels ASME pressure vessels are approved in all aspects and regularly inspected by the American Society of Mechanical Engines. ASME is an engineering board that sets codes and standards for mechanical devices to improve their safety and prevent deadly and costly accidents.